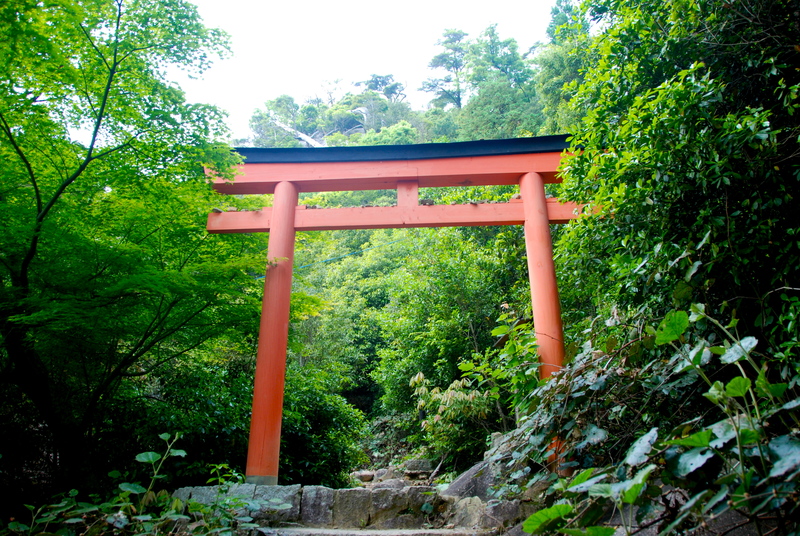 A symbol that classically defines Japan is the Torii, though most people foreign to Japan recognize them as, “those big red things…you know… from Japan.” While that understanding of the Torii is expected, there is far more to them than just their appearance. These “gates” positioned primarily at the head of a Shinto shrine, represents the entrance of the shrine; a kind of a marker where the sacred ground begins. Dotted all throughout Japan, you are sure to come across a few Torii when you travel in the land of the rising sun. Over the course of my adventure in Japan, I came across many Torii, and while none of them held the exact same characteristics, some were modest and small, and others grandiose, and even ancient. Though what they did have in common was where they were located. Personally, I came across a Torii after making a great adventure in a place that felt as though the very air we breathed was sacred. Yaskuni shrine lies in the heart of Tokyo, dedicated as a memorial to War Dead of Japan, it is politically controversial. While it is in Tokyo, it is one of the less frequented monuments in the city, with people paying respects to their lost loved ones, and tourists like me, trying to experience a different side of history. Though I am not here to discuss the ethics or morality of this shrine, I’d like share with you my experience. This was the first Torii that I came across when I first got to Japan, joking around with my friends as we approached the structure, I thought to myself, “there’s one of those things that are clearly Japanese.” Walking through the gate, the tone in the air completely changed. It became utterly serious as I pressed on further towards the shrine. Approaching the memorial I lost the feeling to speak altogether as though I was stricken with muteness, I can’t describe the feeling, but something hit me like a train as I walked under the Torii. I’m not sure if it was the jet lag, or if it was the significance of the shrine, but some inexpressible force was pressing down on me. 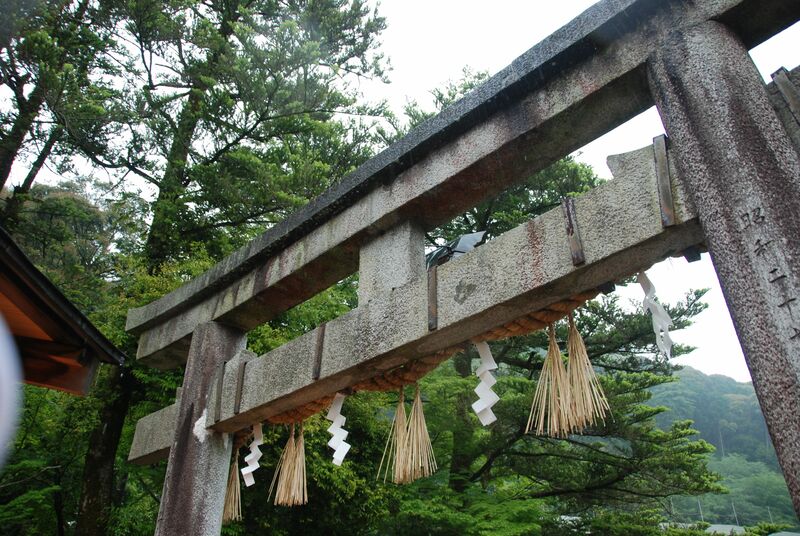 The Torii served as a gateway to the shrine, it held a sort of purity that cannot be captured by much else. It was here that I first experienced a spiritual connection to these sacred places. To me, the most notable Torii that people think of when they picture Japan is at Itsukushima Shrine, on Miyajima Island, just a short ferry ride from Hiroshima. It is one of the most recognized structures in Japan, sort of like Big Ben in England, and the Eiffel Tower of France. Thoughts of an imposing vermillion structure rising from the ocean, with the setting sun in the distance, mixing the sky into a hazy purple, came rushing to my mind as I envisioned how it would be to gaze upon the Torii of Itsukushima Shrine. Sadly, construction was being done to it at the time I was there, and tourists flowed around it as the tide went out. Nonetheless, this was truly an amazing structure, and the work that had to be put into it to keep it looking as beautiful as the day it was built must be daunting. As my boat came in to the island’s port, people rushed to get the best view of it majestic craftsmanship. No amount of ugly scaffolding would keep the people away; wedding photos were being taken with the Torii in the background too, scaffolding and all! People really didn’t mind all the construction that was being done; it was what the structure symbolized that drew them. Grandiosity aside, I’ll be the first to admit that I was a bit underwhelmed when I first saw it (mainly because all the magical photos online got my hopes up for a Kodak moment). However, I was humbled by the peaceful atmosphere, as well as the sheer feeling of sanctity and devotion behind the gate. I soon realized that this is one of the most beautiful places in all of Japan, and I knew why it gained the name of “The Island of the Gods.” Later that day, I came across another Torii shrine vastly different than that of Itsukushima. In the distance I saw Mt. Misen, the mountain that presided over Miyajima. It was majestic as the thought of climbing it was intimidating. Thousands of steps scaled up, around, and through the mountain, as me and my friends, Mike and Collin, took a second to sip some temple tea and gear up at the foot of the stairway. Of course to be noted there is a ropeway on Misen that ferries less able-bodied tourists to the top for a look at the astounding scenery (sort of like summiting Mt. Washington by way of its railway) but we knew…the hike is the real journey. Starting our way up the mountain we were met by thick forests abuzz with cicadas, shrines for lost children, and various groups of spry Japanese senior citizens, happy to share the trail with a few sweaty American college boys. As hours passed the air grew heavy, and blisters formed on our feet. But we were sure that we would reach the summit in no time. Eventually, we happened upon a clearing in the forest, it wasn’t until this moment that we actually knew how much we were hiking. The pristine, un-soiled-by-tourists, side of the island lay before us in all its beauty. Sitting on the edge of a cliff, our legs dangled in the wind as we sipped some more of that salubrious tea brewed special by the Buddhist monks who encouraged we take this pilgrimage in the first place. Unnoticed and off to the side, there was an ancient Torii and shrine, in almost perfect condition, watching over the island. This moment was so serene, so spiritual, that I took it all in as we sat on this vista in the clouds. All the aches and pains of the trip melted away as I felt (almost) rejuvenated. While the summit was nowhere in sight, for me this was the apex of the climb, and while the views of the summit were breathtaking, it couldn’t compare to this moment of sanctity with my buds. Japan, I grew a longing for something other than… well, flowers. A hill towards the back of the garden led up to an overlook of the whole city. Though unlike the hike up Mt. Misen, it was thankfully, much shorter. Traversing through back alleys and hidden driveways with my aforementioned companions, Collin and Mike, we made our way up the hill. As we walked, we came across a Torii that was like no other. Now I don’t mean that it was striking, or controversial, actually, it was rather peculiar. Crafted from what looked like welded steel pipes, it was the epitome of simple, at the same time however, it was that simplicity that made it so beautiful. All the Torii’s I saw up until then, were tall, extravagant, and had that undeniable air of piety. Though here, that feeling was the same as we walked through the gate, which led to another feeling like crossing the threshold between worlds. I think its humble setting is what made it so amazing (being tucked away to the side of a forgotten, overgrown trail). It called to us I think, in a way that the other shrines didn’t or perhaps, couldn’t. 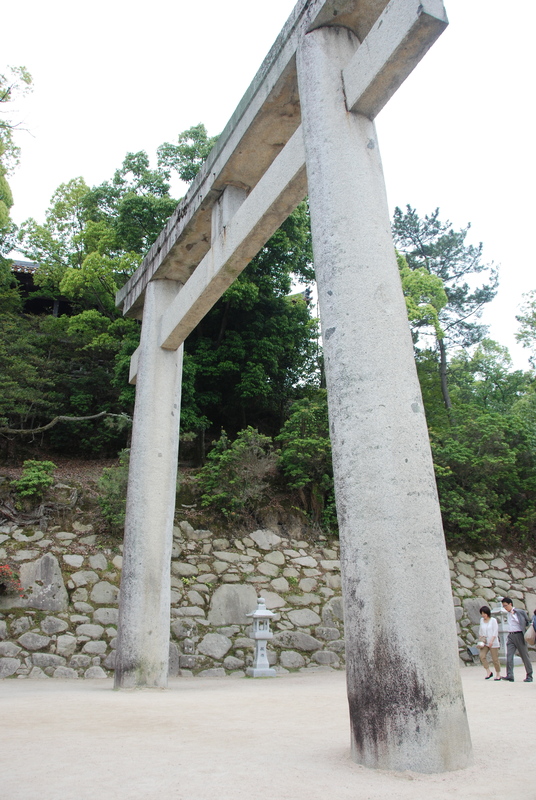 The Torii structures that I came across are like snowflakes. They are all unique, and all moving in their own special way. 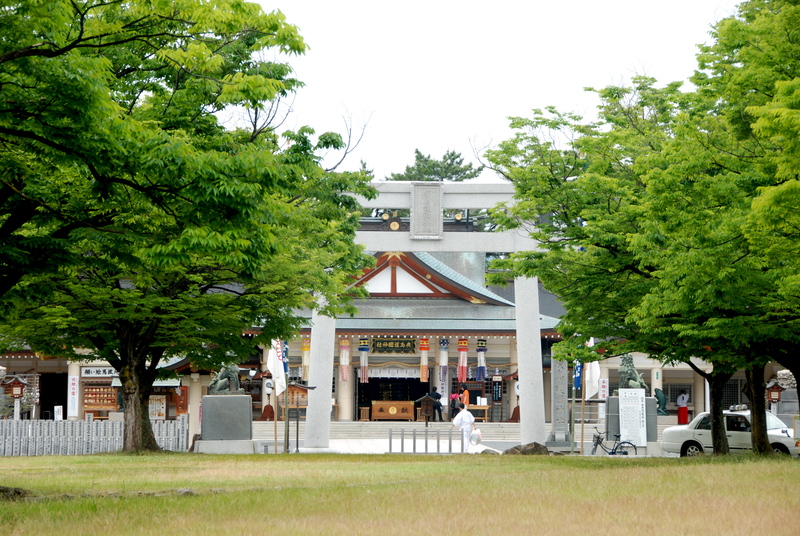 They offer an entrance leading to the sacred ground of the shrine they mark the entrance for. But more than that, they form the beating heart of Japan. And while they all may be different, the experiences surrounding these structures held that same air of godliness about them. And my friends and I, at least a little bit in the short time we were there, started to understand the cleansing power of these ancient places. Japan is on my bucket list, and your post really made me feel as if I’m missing out. I should start planning a trip! Love your photos too. Oh definitely you must go! I always like to relate back to quote by Anthony Bourdain about Japan on going to Tokyo for the first time: “I often compare the experience of going to Japan for the first time, going to Tokyo for the first time to what Eric Clapton and Pete Townsend — the reigning guitar gods of England at the time — must have gone through the week that Jimi Hendrix came to town.